Today, I begin a new blog series to continue an ongoing dialogue. And make no mistake this dialogue is important. What I hope we gain together are sound principles of what makes a church missional— anytime, anywhere, any size. 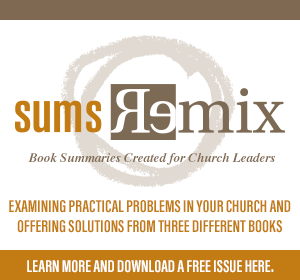 Even greater, I hope you see where your church is un- or under-engaged in the mission of God– and make clear plans to take concrete steps forward. This summer, while not at my church, I’ve preached at a few megachurches– James River Assembly of God (Springfield, MO), Bethlehem Baptist Church (Minneapolis), and will be at Christ Fellowship (Miami) this Sunday. At every place the question was discussion, “How can we live on mission more effectively?” They wanted to live on mission while being a megachurch. Megachurches want to be missional. With that being said, let me get to the start of the argument: I think it is harder (in some ways) to be missional when you’re a megachurch because you have a tendency to maintain the monument you’ve created. There’s this self-sustaining structure that has to be continued. Megachurches face unique challenges in being truly missional— yet they also have the opportunity to rally people for substantive impact. Recent research shows that megachurch attendees are more involved and engaged in many ways, which I will address, but there are issues that distract megachurches from mission as well. Of course, smaller churches in inner cities and in rural communities do as well. I’ve written on that frequently. However, I am going to focus on megachurches for a bit. Why? Because a bias against megachurches has emerged that does not always represent reality. At times, some look to people in megachurches as mindless, consumer-encoded automatons who are unable to think for themselves or to live on mission. Lined up like robots sitting in rows each Sunday, they just love the show. And they love the goods and services offered by their Super Wal-Mart that has driven the local “mom and pop” churches to the verge of extinction. There may be megachurches that have some of those traits. However, I know many megachurch pastors, and it’s not their passion or direction to drive other churches out of business. They are deeply burdened to lead their churches on mission into their community and the world. Now, to be fair, I also know some megachurches pastors who feel like it is their passion and desire to be the unquestioned leader. I also know some are highly competitive, driven leaders. And so there’s some dysfunction in megachurch world. I get that. But, my point is that there are a lot of megachurches that are asking the right questions and focused on the right issues. So, let me add that I do think there’s certain arrogance among some anti-megachurchers. Too many of them just refuse to think anything good can come from the megachurch– they’ve already made up their mind, perhaps because they have been burned along the way. So, full disclosure: I have a great appreciation for what God is doing through many megachurches. To be fair, that is usually my posture– I am not that perpetual contrarian looking for somewhere to point my finger. But, I think that many are just too knee-jerk on their reactions. Megachurches are like all churches– imperfect and flawed– but I want to look at how some are seeking to be more missional. Every five years or so someone new announces that the era of the megachurch is over. And yet every five years there are more of them. So, my question is, can we engage the mega movement without selling our missional souls? 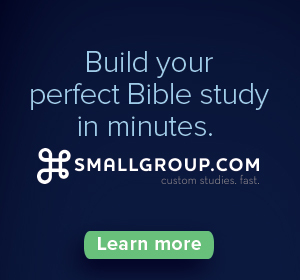 If you have a group of people who gather together to listen to Bible teaching and that’s the only thing that they do, you’ve created a room full of consumers– whether it has 20 seats or 20,000 seats. But if instead you take that opportunity to help them move from being customers to co-laborers, and you have intentional strategies and processes to do that, I think the end result is that you can have a church that intentionally leads people to be on mission for the gospel. That’s true in a small church or a megachurch. 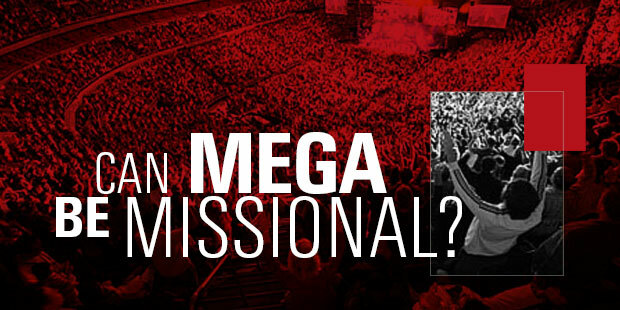 So can mega be missional? I think that’s like asking can small be missional, or can middle be missional? The right question is “What does the missional church look like?” And “what are your unique obstacles to being missional in your context?” I think all of us live imperfectly in light of the mission of God, but I think megachurches must exhort people to live on that mission, and there are some that are. For information on what I (and many others) mean by “missional,” click here.